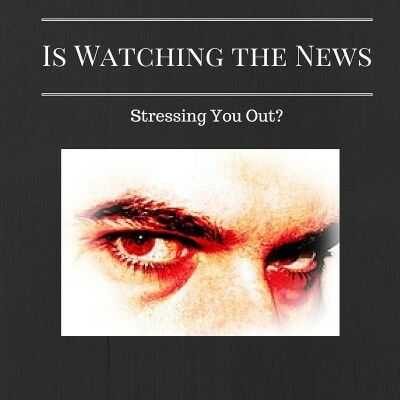 Stress is a modern day malady that has reached epidemic proportions. Traffic jams, computer fatigue, high-pressured work environment and an impossible fast pace in our day to day lives. This has become the rule more than the exception and it takes a toll on our physical and mental health. In effect, we stay in a chronic state of fight/flight/freeze which does a number on the central nervous system. The fight/flight/freeze response is great when we need it. It keeps us alive by signaling the body to release neurotransmitters, hormones, suppress the immune system and increase blood pressure and blood sugar levels to prepare for the fight or enable us to run for our lives. These reactions are obviously hard on the body. We are not designed to stay in this hyper vigilant, annoyed, on-guard state. It is designed for emergency use only, not traffic jams or slow internet connections. The result is a hyper sensitive, quick to react response from the sympathetic nervous system (fight/flight/freeze reaction) and a parasympathetic nervous system (rest/relax) that can’t is sluggish and slow to activate. 1. Exercise. Even moderate exercise can help to offset the physical responses of the fight/flight response. Tension can be released from the body by stretching or walking. Blood pressure is reduced and the mind is cleared. 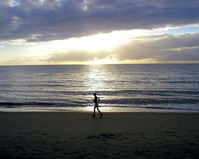 Moderate exercise is beneficial in reducing stress. 3. Notice the Rest/Relax State of Mind – When you are feeling calm or relaxed, try to be conscious of this fact. Notice the ease of mind and body. Feel the calm and be aware of it to help trigger the parasympathetic nervous system to “kick in”. 4. Do Something You Love – It sounds simple and it is. Sometimes the most simple of treatments are the best place to start. When we take the time to engage in those things which make our heart soar, or our mouths curve into a smile it is like a release valve. The stress melts away. 5. Be Grateful – Seeing the blessings, the good, the glass as half full is a great healer which holds enormous healing potential. It gives the mind a break from the troubles and stops the repeat narrative of gloom/doom. 6. Use positive Self Affirmations – We live in a highly competitive society. When we do not excel or properly keep up with the Jones’s, the negative self talk narrative kicks in and gets loud. Many people have highly harsh and critical inner voices. You may not be perfect, but you are not all bad. Find something true, pure, loving that is good about you. Say it. Own it. Remind yourself of the good that is your true essence. 7. See Impermanence – If you pay attention to your current condition, the only thing you can be sure of is it will change. Our moods can change moment to moment, as well as our pain level, relationship status, financial status. You name it, and it is changing. Keeping the notion of impermanence in our minds helps us to create a space between ourselves and our suffering. 8. Massage Your Forehead – This simple technique is used in Energy Psychology. It is effective in bringing blood back to the pre-frontal cortex area of your brain. When you are under stress blood leaves this area of your brain to support fight/flight/freeze. That is why it is difficult to think when you are under stress. Crown Pull Instructions – Place the thumbs of each hand on your temples. Let your fingers rest across your forehead, just above your eyebrows, with finger tips touching. Begin pulling the skin on your forehead, until they separate and reach your hair line. Repeat the process moving up your forehead, until you reach the upper part of your hairline above your eyes. 9. Talk With Someone – When we feel alone, not understood or not seen, we spiral much easier into anxiety and depression. Find someone to talk to. Reach out to your friend that gives you support and good advice. If you don’t have a good support system you need one. It will mean taking risk and doing things that might make you uncomfortable. Visit a church, find a support group in your area, join a social meet-up group with people who have similar interest. 10. Humor – Laugh easily and freely. If it is hard for you to laugh, watch funny movies. In the book Anatomy of an Illness, Norman Cousins describes using a high intake of funny movies and vitamin C to significantly reduce the symptoms of rheumatoid arthritis. He was able to stop taking pain killers and reduced many of the symptoms associated with the disease.